The estimated delivery time will be approximately 3 – 5 business days from the time of order. Rooms up to 193 Sq. Ft.
One Great Product. So Many Benefits! 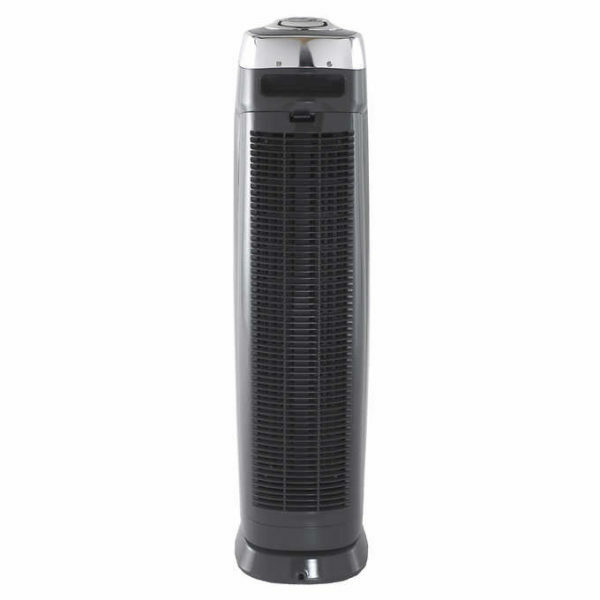 The 3-in-1 Air Purifier is perfect for allergy sufferers. 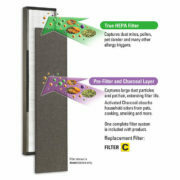 With a True HEPA filter, it captures 99.97% of dust and allergens as small as .3 microns in size! According to the American Academy of Pediatric Allergy and Immunology, doctors recommend HEPA air filtration to reduce exposure to indoor asthma triggers. More than just a filter, the UV-C light reduces the spread of germs, while the charcoal filter captures odors. 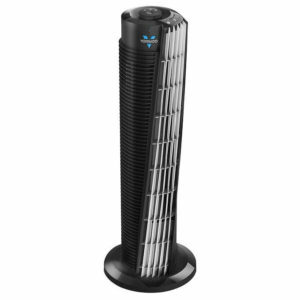 CADR Rated 125+ and standing 28 inches tall, it is lightweight and ideal to use in both medium to large rooms. Includes a UV-C control and a filter change indicator. Choose from 3 speeds, including a low speed that runs ultra-quiet. How It Works. One Filter – Multiple Layers of Protection. 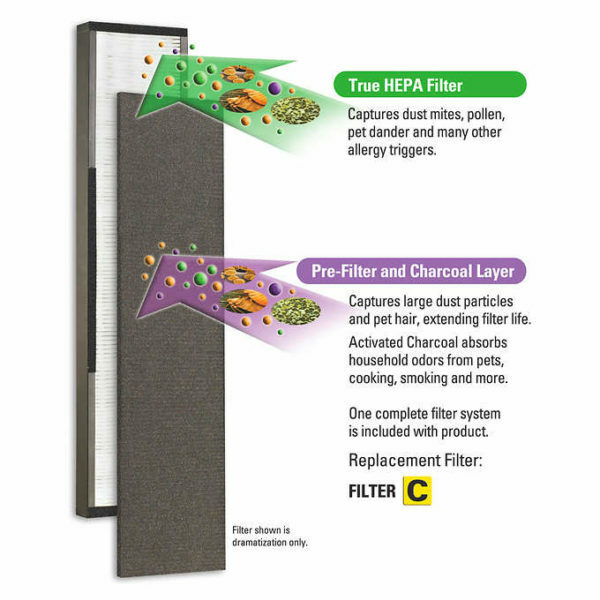 First, a pre-filter and a charcoal filter combine to capture large particles like dust and lint, as well as destroy common household odors. 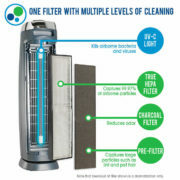 Then, a True HEPA filter captures 99.97 percent of airborne particles, as small as .3 microns in size, such as dust mites, debris, mold spores, plant pollens, and pet dander. Finally, UV-C light technology works to help reduce the spread of airborne viruses and bacteria such as rhinovirus, E. coli, and streptococcus, while titanium dioxide is activated by the UV-C light to decompose odor molecules caused by smoking, cooking, and pets. Captures 99.97% of Airborne Allergens. 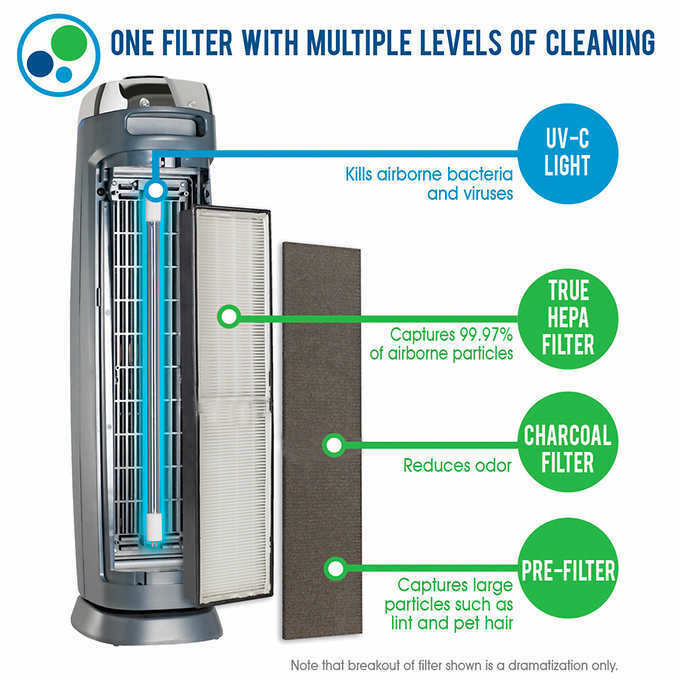 The GermGuardian® AC5000 features a True HEPA filter which means that when it comes to filtering allergens from the air True HEPA is superior in quality. True HEPA filters are proven to capture 99.97% of airborne allergens such as household dust, pet dander, mold spores, and plant pollens & particles as small as .3 microns in size. And that makes a big difference in the air you breathe – get your GermGuardian® Air Cleaning System today and start breathing clean! 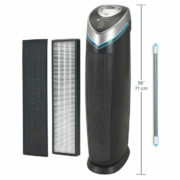 UV-C Light Helps Reduce Bacteria & Viruses. Hospitals use UV-C light to sanitize. 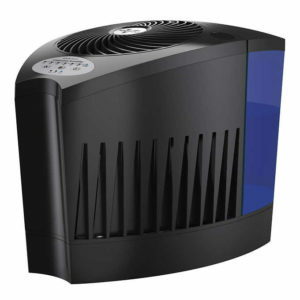 UV-C light is proven to helps reduce the spread of airborne bacteria and viruses such as rhinovirus, E. coli, and streptococcus as well as mold spores. It is highly effective at penetrating the thin cell wall of germs, permanently altering the genetic structure so they die. The AC5000 GermGuardian® is perfect for homes and offices alike. Homes with babies and school-age children, senior citizens, those prone to colds & flu, teachers and many more love the peace of mind the GermGuardian® brand provides. 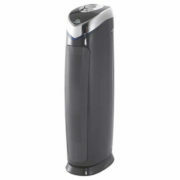 Removes common household odors and smoke particles from the air with an activated carbon filter. 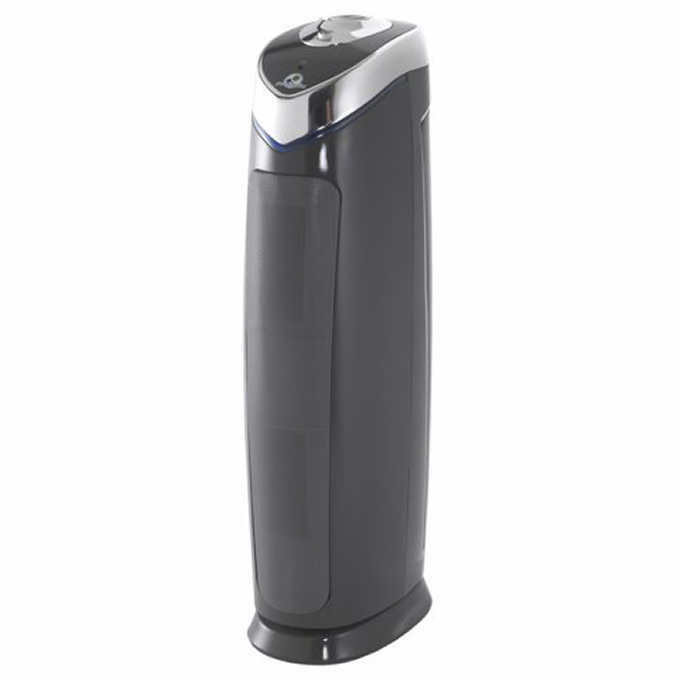 Pet owners, households with smokers, cooks, homes with nurseries and children love our GermGuardian® AC5000 3-in-1 Air Cleaning System for its powerful odor removal benefits and you will too! 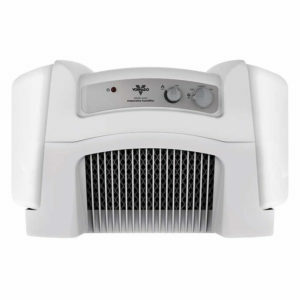 Doctor’s Recommend HEPA Air Filtration. According to the American Academy of Pediatrics Allergy & Immunology (2003), doctors recommend HEPA air filtration systems to reduce exposure to indoor asthma triggers. 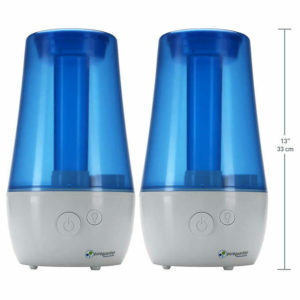 The GermGuardian® 3-in-1 Air Cleaning System’s ultra-quiet operation makes it easy to leave running while you sleep. Many even claim the soft hum of the unit lulls them to sleep. This GermGuardian® AC5000 3-in-1 Air Cleaning System is energy efficient and CADR rated 125+. Why is the red and/or blue light blinking when I first turned on the air purifier and how do I shut it off? The air purifier now comes equipped with indicator lights that automatically blink when it’s time to replace the Filter or UV-C bulb. If the reminder lights are blinking the first time you turned on your purifier, simply reset the system by holding the UV button for at least 3-5 seconds until the reminder lights stop flashing. Your product is now set and ready to go!Do I need to replace my filter? Yes. It is recommended that you change the Combination Filter every 6 to 9 months depending on use.How long is the warranty? The warranty is a 5-year Limited Warranty. For more detailed warranty information please refer to the warranty section of your instruction manual.What is CADR? 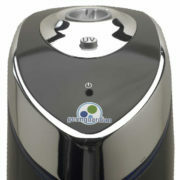 CADR stands for “Clean Air Delivery Rate” which indicates the volume of filtered air delivered by an air purifier. CADR ratings show the effectiveness of how efficient the air purifier is at capturing fine particles from things like tobacco smoke and plant pollens from the room.How do I know when I should replace the filter? 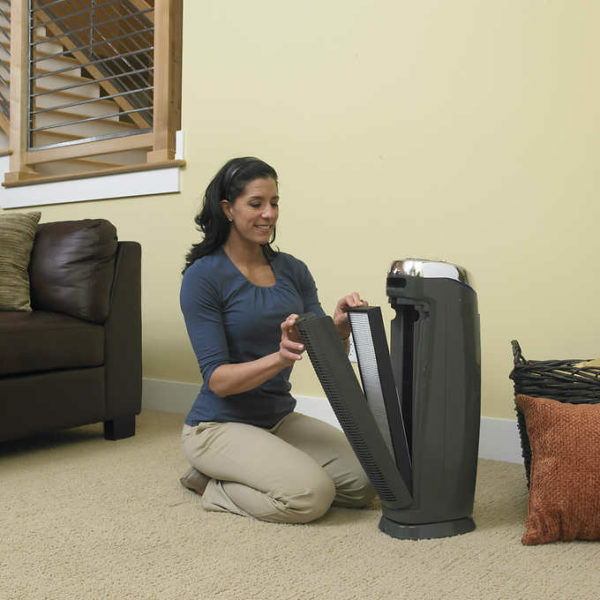 It is recommended that you replace the Combination Filter every 6 months — depending on use — to maintain an optimal level of air purification. When the filter turns from white to dark grey or black, it should be replaced with a new one. If the filter is still white, it does not need to be replaced. UV-C is part of the ultra-violet light spectrum that is filtered out by the earth’s atmosphere. The “C” stands for the particular frequency of UV light that reduces germs. Why is UV-C light so effective? UV-C light is highly effective at penetrating thin-walled germs like viruses and bacteria. The light alters the genetic structure of the germ, and they die.